After a consolidation process which lasted for 3 years, Latin America’s LAN Airlines, TAM Airlines and a number of affiliates have decided to operate under a common brand – LATAM. 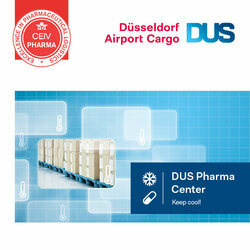 The name is the result of an extensive study conducted in 10 countries following the merger of LAN and TAM in mid-2012. The new LATAM branded airline group will unite all the passenger and cargo airlines for LATAM Airlines Group, comprising of LAN Airlines and its affiliates in Peru, Argentina, Colombia and Ecuador; in addition to TAM Linhas Aéreas S.A., and its subsidiary TAM Air Transport Mercosur S.A. (TAM Airlines (Paraguay), and the cargo carriers comprised of LAN CARGO, LAN CARGO Colombia, ABSA (TAM Cargo) and Mas Air. In an announcement the decision is hailed as a historic milestone in the airline industry not only because this is the first time an airline group has chosen to consolidate under a single brand, but because this is the first time a Latin America-based airline group aspires to become one of the best in the world. 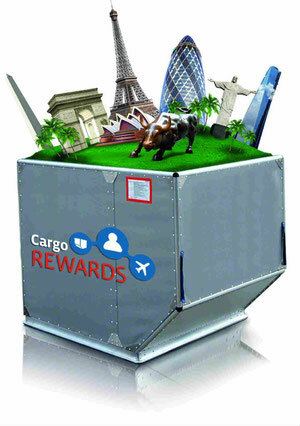 The reward program is exclusive to cargo agents who transport cargo using the LATAM Airlines Group’s network and its cargo affiliates, and is aimed at rewarding their preference and loyalty. Each shipment made by customers inside the program will accumulate cargo credit, which can then be exchanged for flight tickets on oneworld member airlines. In its online publication ‘incargonews.com’ the carrier further indicated plans to expand its activities in Asia. A new office has been set up in Hong Kong to capitalize on cargo flows originating in the Far East to feed LATAM’s own flights in Europe, North America and Oceania. 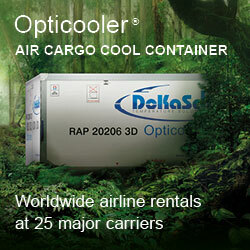 The Hong Kong station is headed by Dan Weisleder, LATAM Cargo Sales Manager Asia.